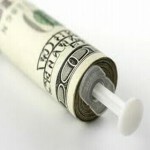 Home » Rhinoplasty » What is Closed Rhinoplasty? 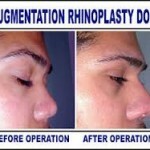 Closed rhinoplasty is a kind of rhinoplasty that does not involve any incisions outside the nose. Incisions in a closed rhinoplasty is made inside the nose. 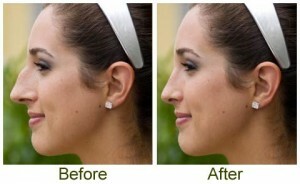 When rhinoplasty is performed by incising both inside and outside the nose, that is called an external rhinoplasty. 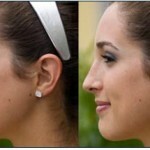 Closed rhinoplasty, also known as endonasal rhinoplasty is more difficult to perform than external rhinoplasty. However, closed rhinoplasty can ensure scars not to be visible and it still allows many reshaping possibilities just like in external rhinoplasty. Extra Support at the tip of the nose will most likely not be needed. Scars are hidden and not visible. Shorter time for the surgical procedure to be done. Swelling of the nose and surrounding tissues are minimal. 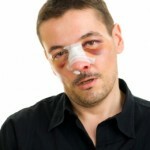 Surgeons will have limited access to the internal portion of the nose since incisions are only made internally. Changes are reshaping abilities are limited. All areas internal to the nose are not visible to the surgeon. For patients who want to only get subtle or minimal changes to the shape of their nose, closed rhinoplasty or endonasal rhinoplasty will be performed.